ECR Minerals plc advises that further to the news release of THEMAC Resources Group Ltd (“THEMAC”) dated 31 January 2014, at the adjourned general meeting of THEMAC held on 17 January 2014 the Company voted its entire shareholding against a resolution (the “Resolution”) that sought, inter alia, to approve certain security arrangements in favour of Tulla Resources Pty Ltd (“Tulla”), which has extended a loan to THEMAC. The Company voted its entire shareholding in favour of all resolutions put to the general meeting prior to the adjournment on 19 December 2013. According to a circular (the “Circular) released by THEMAC prior to that date and downloadable from the Canadian securities database SEDAR.com, the principal amount of the loan from Tulla to THEMAC at 5 November 2013 was CAD 30,903,995. The total amount repayable pursuant to the loan totalled CAD 37,519,785 at 30 September 2013, according to THEMAC’s most recent financial statements released on 21 November 2013. The Circular also stated that Tulla, a private company, is THEMAC’s majority shareholder, and that Kevin Maloney, the Chairman of THEMAC, is Tulla’s Executive Chairman. The ECR board of directors deemed it in the interests of the Company to oppose the Resolution, which, as disclosed in the THEMAC news release dated 31 January 2014, was not passed. 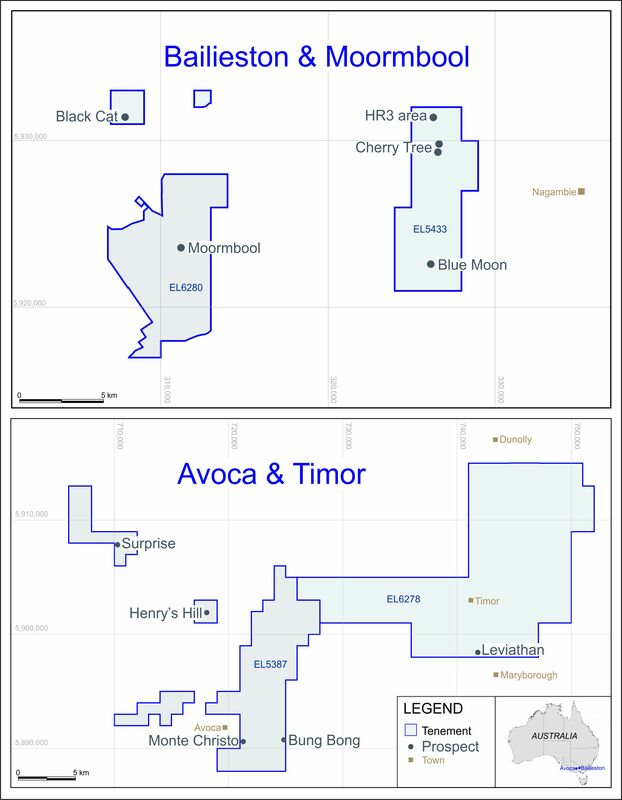 As described in the Circular, shares of THEMAC held or controlled directly or indirectly by Kevin Maloney (including shares held in the name of Marley Holdings Pty Ltd), by the Chief Executive Officer of THEMAC Andrew Maloney and by Tulla were excluded from voting on the Resolution. ECR owns approximately 15% of the issued share capital of THEMAC and has a fully diluted interest in THEMAC’s share capital of approximately 16%. THEMAC is listed on the TSX Venture Exchange with the code MAC. The full text of the THEMAC news release dated 31 January 2014 is provided below. The policy of ECR with regard to its investment in THEMAC remains to dispose of the investment when an opportunity to do so at an attractive value is available. The investment is kept under review in light of factors including the Company’s financial circumstances, the financial circumstances of THEMAC, the parameters of THEMAC’s Copper Flat project and financial market conditions in the mineral sector generally. Variations of these and other factors will affect what is deemed to be an attractive value for any disposal. VANCOUVER, BRITISH COLUMBIA--(Marketwired - Jan. 31, 2014) - THEMAC Resources Group Limited (TSX VENTURE: MAC) ("THEMAC" or the "Company") wishes to announce that the Directors of the Company have agreed to reduce outstanding directors' fees of $107,280 by issuing 1,192,000 common shares of the Company at a price of $0.09 per common share. The settlement reflects the maximum allowable shares issuable for the directors' fees. The Directors are cognizant of the need to direct available funds to the development of the Copper Flat project and completion of the Definitive Feasibility Study.